Living in the Greater Los Angeles Area can be demanding, but it’s even harder if you’re dealing with one or more missing teeth. Fortunately, Dr. Peiman Soleymani has made his name as the periodontist and dental implant specialist Los Angeles patients trust. Patients come to him for implants at his Beverly Hills Periodontics & Dental Implant Center because it’s clear that, when teeth are lost due to severe decay, illness, or an accident, implants are by far the best way to deal with the problem. The cosmetic aspect of lost teeth can be pretty serious. It can make it difficult to find a job, or even keep one. It can also lead to social isolation and depression. However, it’s also a significant oral health problem. Missing teeth can lead to bone loss in the jaw and greatly increase the tendency of teeth to drift in the mouth, creating other dental issues. While dentures and bridgework are definitely better than no replacement at all, implants are the only intervention that can actually arrest the process of bone loss, and they have the added benefit of looking and acting just like real teeth. 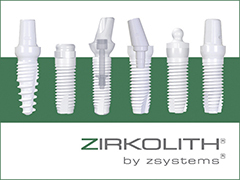 Los Angeles dental implants from Dr. Soleymani are the convenient, attractive, and healthy solution. Of course, teeth are not the only important aspect of oral health; the gums they reside in are just as vital! So, apart from any missing teeth, if you’re dealing with bleeding gums, halitosis (bad breath), pain, or any other gum problems, Dr. Soleymani is a noted Los Angeles periodontist. He is here to develop a diagnosis and come up with treatment plan that will effectively deal with the problem. Life is too short to let problems like tooth loss and gum disease go untreated. To get in touch with the expert oral health team at Beverly Hills Periodontic & Dental Center, please call the phone number above or reach out to us through our contact page.